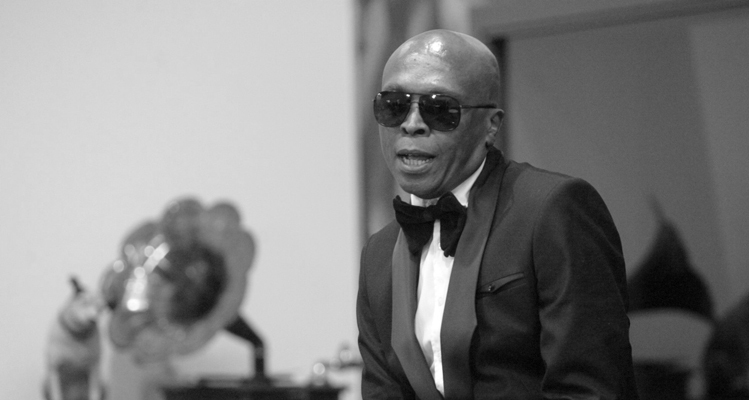 Robbie Malinga’s brother has described how the music legend died peacefully at home surrounded by loved ones on Christmas Day. 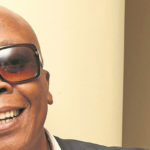 Bheki Malinga said his musician, songwriter and producer brother, behind hits such as Idols SA winner Musa Sukwene’s Mthande and Kelly Khumalo’s Sobabili, insisted the family spend the day at his Dainfern home, north of Joburg, despite his failing health. The hitmaker, kwaito pioneer and Afro-pop producer revealed last year that he had been diagnosed with anaemia and had been battling the disease until he finally succumbed to it around 6pm on Christmas Day. “We had lunch for the family yesterday (Christmas Day), organised by him. He insisted while in his hospital bed that this (family lunch) must happen. The (family) gathered at his place yesterday. This was the first time everybody showed up,” said Bheki. Malinga was to perform with Sukwene at the Ridge Casino in Witbank last Friday but the show was cancelled two days before. Bheki said that during the Christmas celebrations, Malinga was lying on his bed and glanced around to see a full house of family members and ordered that everyone be fed. “Believe me, before people finished their plates he just gave up. He smiled, held my hand and just gave up; he had asked me to turn him facing the east. He gave his back to everybody who was there in the room. That was his sign of saying goodbye,” said Bheki. He said his brother started his music career after he had recorded two studio albums with his siblings. Malinga was a roaring lion. There was never a dull moment when he was around, said Bheki. The veteran musician’s father, Coleman Mgogodlo, said he always thought his son would bury him. “His wife had called to notify me of the situation. It was bad. I have accepted that he’s gone,” said Mgogodlo. Mgogodlo believed that his son would recover. He added that Robbie got his musical talent from him, and the two had planned to collaborate soon. Doc Shebeleza, Robbie’s close friend, said he was left heartbroken when he heard of the passing of his beloved friend. “When I came here and saw my brother lying there wrapped up and waiting for undertakers, I couldn’t contain myself. I couldn’t believe it. But I knew he was sick,” said Shebeleza, whose real name is Victor Bogopane. He worked with Malinga in his early career as a kwaito artist, producing his hit song Gets Getsa in the 1990s. 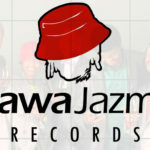 Since then, Malinga has produced many top artists, including mega-star Zahara’s multiple platinum album, Loliwe, probably one of his best productions. The outpouring of grief since the announcement of Malinga’s passing attested to how he touched the lives of many South Africans with his music – from politicians, fellow musicians to fans and music lovers. Malinga’s life was being celebrated across the country and in neighbouring countries such as Zimbabwe and Botswana on Tuesday. President Jacob Zuma led in paying tribute to the fallen star. “Malinga’s rise to fame coincided with the increasing popularity of kwaito music in the 1990s. He played a role in shaping the genre. We are deeply saddened by the loss of such a talented artist. 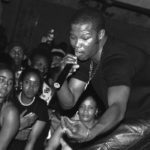 “This is indeed a huge loss for South Africa and the music industry as a whole. We are with his family in thoughts and prayers during this trying period. May his soul rest in peace,” Zuma said. Arts and Culture Minister Nathi Mthethwa said: “Robbie Malinga’s authentic South African sound was of such an influence it infiltrated other genres of music. His production in Doc Shebeleza’s kwaito hit Gets Getsa was used by hip-hop artist Prokid to make his hit Sekele. “We’re heartbroken to learn the news of the untimely passing of the legendary kwaito and Afro-pop producer. “We have lost an illustrious kwaito pioneer who paved the way for future generations of artists. Gauteng MEC for Sport, Arts, Culture and Recreation Faith Mazibuko and Education MEC Panyaza Lesufi joined many mourners who paid a visit to the Malinga family home in Fourways on Tuesday. Mazibuko said: “It is indeed a great shock to learn of the passing of arguably one of the most celebrated music producers of our time. The news of his death cut really deep. Regarded by many as the Luther Vandross of South Africa, Malinga has over the years created some of the best music that got South Africa singing and dancing to. Recording Industry of SA (RiSA) chief executive Nhlanhla Sibisi said: “To say his death is a loss will be an understatement. This was one of the best this country has produced. A lot of musicians owe their successes to his magical touch as a producer, composer, arranger and vocalist. He was one of the most sought-after hit-makers in this country. Malinga hailed from Meadowlands, Soweto and started his career in the 1990s playing keyboards for bubblegum musician Freddie Gwala of Amadamara fame and the group Platform 1, for which he co-wrote the hit song Isencane Lengane. He was one of the kwaito pioneers with his group Vardos from the East Rand. His solo outing, Insimbi, placed him in the top league of the genre. He teamed up with Shebeleza to start RoboDoc in 1999, producing monster hits such as Ebumnandini and Skumfete. As a producer he contributed in shaping the careers of artists like Zahara, Brickz, Brown Dash, Kabelo Mabalane, Arthur Mafokate, Ntando, Nhlanhla Nciza, Izinyoka, Mzekezeke, and Sbu of AmaLawyer fame. Full details of a memorial service for Malinga and his funeral were to be announced at a press conference at 2pm today at the Malinga family home. The press conference was to be addressed by Bheki Malinga and TK Nciza.